Sisters of Notre Dame de Namur first went from the United States to La Savane, Haiti, in 2009, at the request of Monseigneur Alix VERRIER, Bishop of the Diocese of les Cayes. La Savane is one of the 32 slums in the Les Cayes Province, with a population of about 25,000 inhabitants. This was according to a study done in 2009 by a team of interdisciplinary researchers. Haiti is described as the poorest country in the Northern Hemisphere. The country also faces constant challenges with natural disasters, such tropical storms, lightning, floods, earthquakes, and tsunamis. These factors exacerbate the already deplorable economic and social conditions of the population. Women in La Savane, as in many parts of Haiti are the worst affected by the economic and social conditions in the country. Many of these women are single mothers, and with little or no education, most of them cannot provide for the basic needs of their children. As a result, many children as young as six, roam the streets begging or scavenging for food from dumpsites. This situation, unfortunately, exposes the children to situations of exploitation and abuse. women and children of La Savane, since 2009. She administers the Notre Dame Family Education Center where about 120 women are enrolled in the basic literacy program, culinary and pastry art, sewing, embroidery and floral art. With the skills these women acquire from the center, they are able to start their own small businesses through which they generate some income to feed their families and pay tuition for their children. Many of the women now make uniforms for their children, and clothes for themselves and other families members. About 50 children, aged, 6 to 12 are also currently enrolled in the Notre Dame Family Education Center. The children learn basic reading, writing, and Math. In addition to learning to read and write, the children also engage in sporting and other extra-curricular activities. They receive one free meal a day from the center as well. Thanks to Sister Jeannette’s determination, and support from the Sisters of Notre Dame de Namur, Notre Dame Associates, Notre Dame Americorp Volunteers, and donors, most of the children at the Notre Dame Family Education Center who probably would never have had an opportunity in life for a formal education, can now read and write. Quite characteristic for a Sister of Notre Dame, Sr. Jeannette believes that “every child has a right to education because education is key to a brighter future.” Sr. Jeannette continues to proclaim God’s loving care and goodness to the people of La Savane, Haiti. Below are facts and figures from a recent International Labour Organization report on the situation of child labour worldwide. Hazardous child labour is most prevalent among the 15-17 years old. Nevertheless, up to a fourth of all hazardous child labour (19 million) is done by children less than 12 years old. ACTION: SPEAK OUT! BECOME AN ADVOCATE AGAINST CHILD LABOUR! The United Nations General Assembly, in a resolution adopted on December 2011, declared October 11 of every year as the International Day of the Girl Child. The purpose of this day is to increase awareness and address the needs and challenges girls around the world face. It is also a day to specifically advocate for the empowerment of girls and the promotion of their human rights. Some of the challenges faced by girls around the world include a lack of access to quality education, gender-based discrimination, forced marriage, lack of quality healthcare, and numerous others. 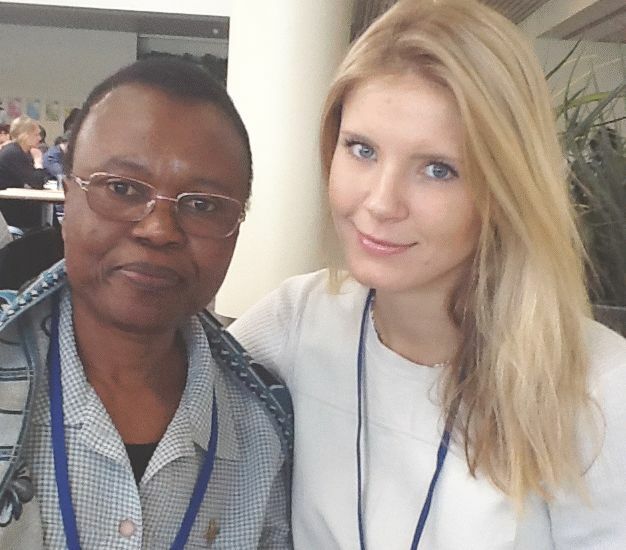 It is important that teachers and those who work with children, especially the girl child, familiarize themselves with some of the relevant UN human rights instruments in order to safeguard the rights of these children. Some pertinent mechanisms for reference in regards to the human rights of the girl child include the Convention on the Rights of the Child, the Convention on the Elimination of all Forms of Discrimination against Women, and the Convention on the Rights of Persons with Disabilities. By Katie Blawie: For the first time in history, the UN set of sustainable development goals directly addresses mental health and well-being. Goal 3 aims to “ensure healthy lives and promote well-being for all at all ages,” and Target 3.4 states that we must “by 2030 reduce by one third premature mortality from non-communicable diseases through prevention and treatment, and promote mental health and well-being.” We cannot have sustainable development if we fail to prioritize well-being and health – not just physical, but also mental – with solid, measurable indicators. Mental health policies and programs in all countries are crucial to empowering women and girls. Poor mental health among women is a major threat to sustainable development worldwide. Women and the mentally ill of any background are two marginalized groups in society. When those two factors are combined, the exclusion becomes even worse. Kofi Annan issued a challenge to us collectively as the peoples of the world to find global leadership and vision on these issues. We call on all governments worldwide to prioritize mental health with specific, measurable indicators and policies to empower women and girls in our global agenda for sustainable development. Let us of course recognize and confirm that providing economic opportunity for our societies, and for women and girls specifically, improves our individual and collective well-being. 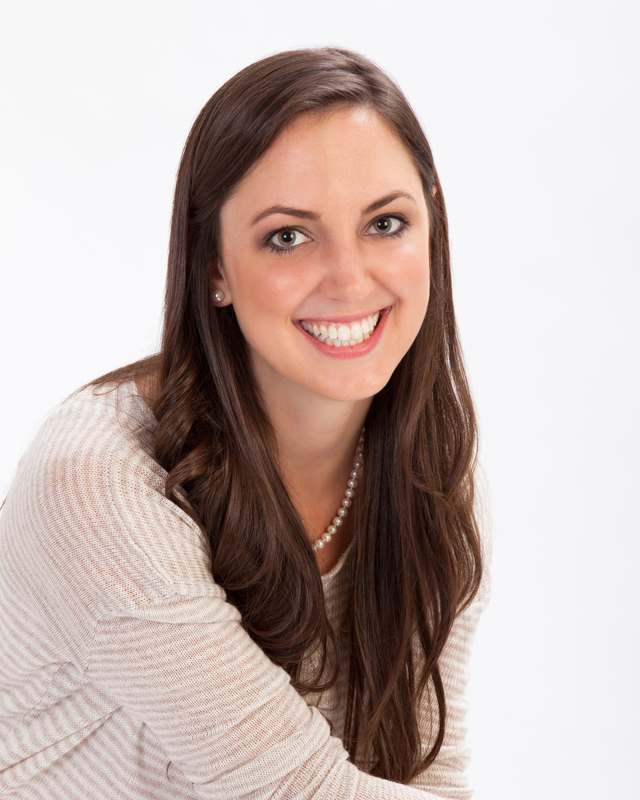 Embracing mental health for women and girls sustains mental health for all in our world. The gl obal scale of migrants and refugees currently witnessed is unprecedented. According to the United Nations (UN) 2015 data, the number of refugees and migrants around the world was over 244 million, (a 41% increase compared to 2000). Migration is a very complex global issue that will require concerted efforts from the international community to find lasting and sustainable solutions. The UN has taken on the responsibility to galvanize the Member States for global action on this phenomenon. On September 19, 2016, the UN General Assembly will host a High-Level Summit, the first ever called for Heads of State and Governments on Large Movements of Refugees and Migrants. Major tasks of the summit will include considerations regarding to best means for the international community to respond to the growing issue of refugees and migrants, and to formulate a blueprint for improved international, regional, and national responses. As a lead up to the September 19 Summit, the Secretary General of the UN, Mr. Ban Ki-moon, released a report in May 2016, titled: “In Safety and Dignity: Addressing Large Movements of Refugees and Migrants.” This report provides background for the September Summit. It also calls for a comprehensive framework for addressing the large movements of migrants and refugees, root causes of such movements, and the need to protect the human rights of those compelled to embark on such often perilous journeys. Interactive map showing origins and destinations of migration 1990-2015 allows one to select a country and a year and then click on another country to see how many of its people that year immigrated into or emigrated from the first country. Smartphone users outnumber hungry children by 20 to 1, while 1 in 7 children do not have enough food to live a healthy, active life. To leverage these statistics, the United Nations World Food Programme (WFP) has recently released an iOS/Android app called ShareTheMeal. 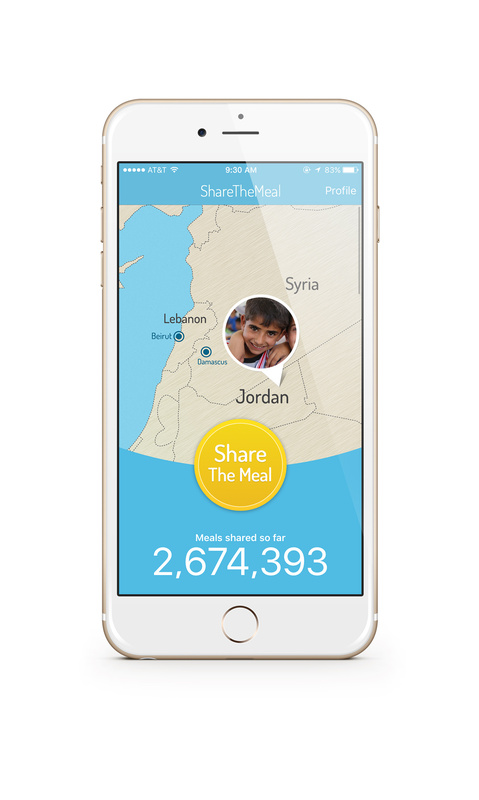 ShareTheMeal makes it possible to virtually “share” a meal with just the tap of a button. For just 50 cents, anyone around the world can provide a full day’s worth of food to a hungry child. 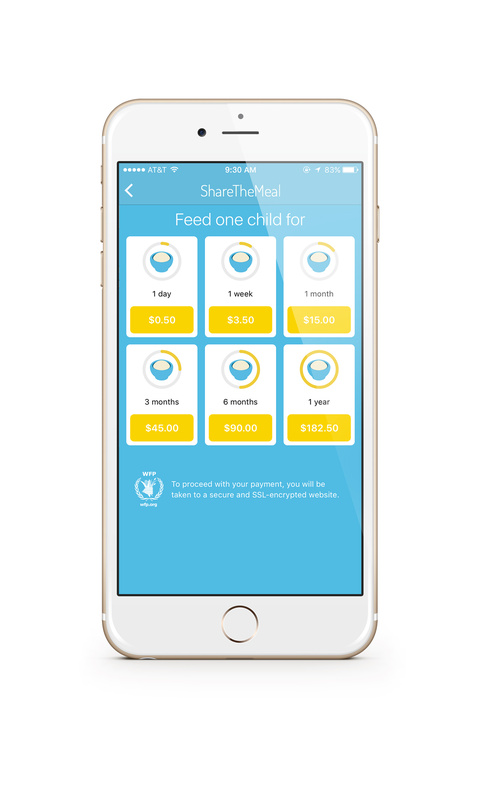 The app also gives the option of donating larger amounts – $3.50 to feed one child for one week, $15 for one month, $45 for three months, $90 for six months, or $182.50 for one year. Currently all donations are benefiting Syrian refugee children in Jordan, with the goal of providing school meals to 20,000 Syrian children for an entire year. This will help with both reducing hunger and improving access to education. Once this goal has been met, the WFP plans to expand this program to other areas in need. This app has enormous potential to help reach Goal 2 (“Zero Hunger”) of the Sustainable Development Goals. It also serves as a great example of incorporating technology to make donating seamless and social (by connecting it to your Facebook account), while attracting the millennial crowd in particular. So next time you’re sitting down for a meal or waiting in line for your coffee, give the app a try! Piracy off the coast of Somalia is not a very common topic for discussion for United Nations headquarters. However, it was very interesting to hear what organizations and governments had to share about the situation in the country. The piracy problem might remind us primarily of older times, stories that we have read in books and have seen in historical movies. For developing countries, taking Somalia as an example, the problem is still present nowadays. An important topic was discussed during a recent UN meeting: Somalia’s government needs to enforce the laws regarding fishing and sailing on the water territories of the country. While there are no strict laws in the country, whatever happens on a water territory can not be controlled. Food and Agriculture Organization (FAO), UN Trust Fund, and other panel participants mentioned that Somalia needs some support from the governments of more developed countries who have already overcome that piracy problem. There are a lot of ways to control the majority of boats in the open sea. FAO shared an example of transparent boats that helped to solve a piracy problem in Italy. Another way of controlling the boats can be implemented if all the fishing partners in Somalia and surrounding countries report their boats so that most of the activities in the water can be tracked by high forces. Another great and powerful thought I have is that piracy is a crime and yet it is easy to commit. It only requires a few things: a boat, weapons, and a group of people. Young kids of Somalia who do not have a proper education can and will consider this type of income if their country’s conditions allow. 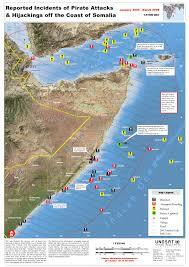 Therefore, Somalia’s goal should be focused on not letting the conditions actually arise. Young kids are very vulnerable and they adjust quickly. Besides parents’ influence, a big part of their life knowledge will depend on what they see around themselves outside of their homes. If the rules are strict enough, most likely those kids will not want to give it a chance trying to cross legal boundaries. If piracy is, however, not controlled by strict government regulations, kids will not see a bad outcome of these actions, and, consequently, will most likely get involved in giving it a try to become pirates.